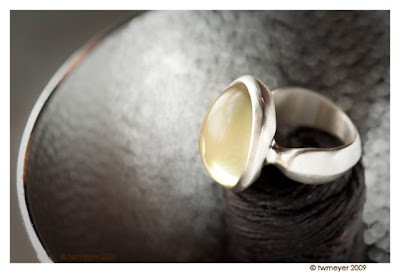 I photographed this ring made by my wife, Judy Parady. the background as the reflector from a Lumedyne strobe head. was made by window light. The ring is resting on a spool of brown waxed cord. and this image shows that tendency.